Lotus Herbals has a great product portfolio and is quite convincing when it comes to the product benefits. 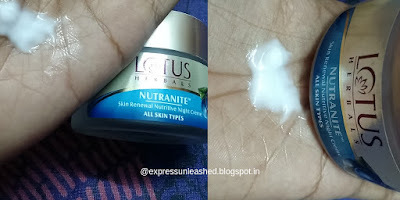 As I was super impressed with Lotus Herbals Day Cream's performance, I was looking for an anti aging, nourishing night cream and ended up buying Nutranite Skin Renewal Nutritive Night Cream. This is a luxurious nutrient-rich night cream that helps renew the skin while you sleep. It repairs the damages caused by dehydration and exposures during the day to give a supple and renewed skin. It boots skin's resiliency, strengthens natural defenses while restoring firmness and smoothing imperfections. The 50 g pack comes in a sturdy glass jar. Why should you go for a night cream? 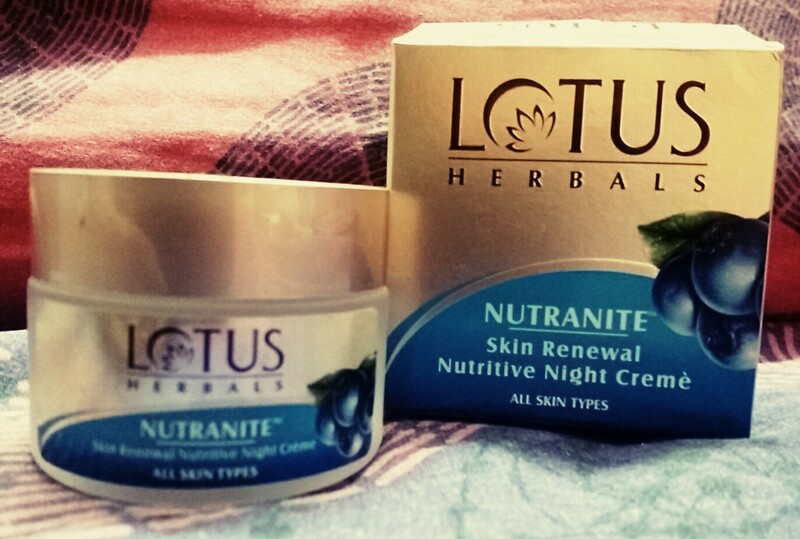 We often wonder if night creams are useful at all. Little we realize that your skin that has gone through so much wear & tear during the day (UV rays, pollution, stress) and needs a repair formula at night. Night creams hydrate, moisturize and replenish renewed skins replacing the dead and worn out cells. Cons that I found - I felt cheated. OOPS! 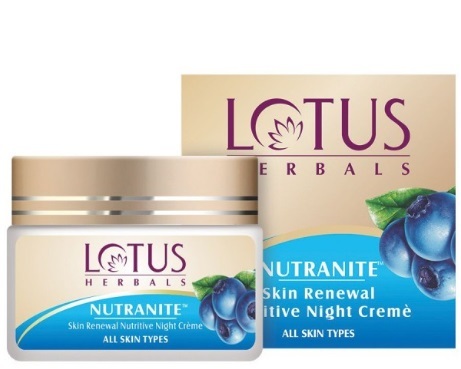 The sales rep sold this Lotus Herbals night cream to me calling it anti aging cream, which is not one. (I read the same in reviews later). 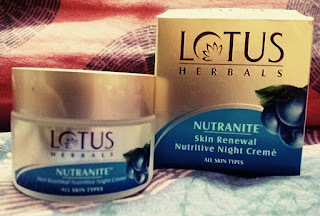 This is just a nutritive night cream that vitalizes, hydrates and adds glow to your skin. It does not tighten skin nor works on fine fines. Though the fragrance is mild, it is not pleasing. To me it smells of too much chemicals. The jar is not travel friendly. Price- MRP: Rs 455. You can get it a discounted price online. My rating- 2.5 on 5. Lotus Herbals can do a better job I am sure. This disappointed me.